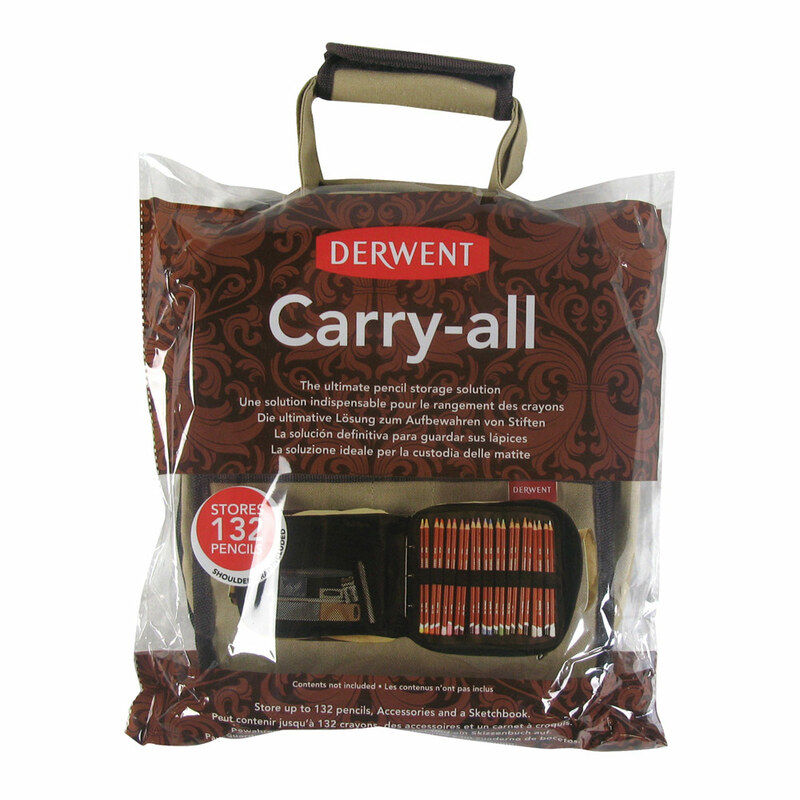 The Derwent Carry-all is the ultimate pencil storage solution for up to 132 pencils and more! 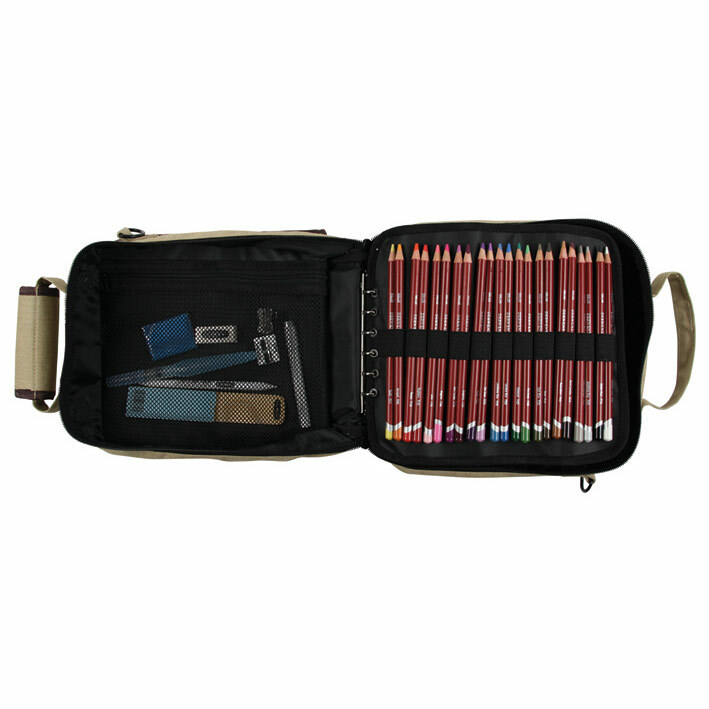 Made from sturdy light brown canvas with a contrasting dark brown trim the carry-all is capable of holding 132 full-size pencils plus a range of drawing accessories and an A5 sketchbook. It features 3 easy-access ‘pencil leaves’. Each leaf is capable of holding up to 44 individual pencils held in place by a wide elastic strap. The leaves are easily removable as they are kept in position by 6 snap rings so you can change your storage options according to your needs. There is a mesh pocket at one end for holding drawing accessories and a strap to restrain your sketchbook while on the move. 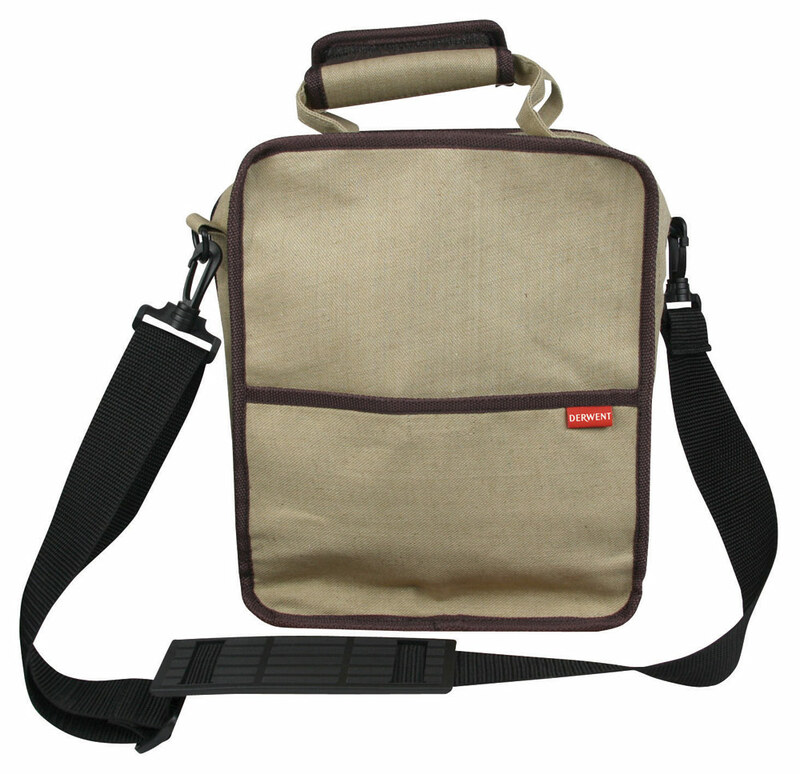 This ultimate storage solution measures just 225mm x 275mm x 130mm and comes complete with a detachable shoulder strap, two robust carrying handles and a handy external pocket. Any contents shown in images in NOT included.